THEY WANT TO WIPE US OUT! NOTE: I HAD TWO DREAMS ABOUT THE COLORS RED AND BLACK ON SUCCESSIVE DAYS WHICH SEEMS QUITE UNUSUAL TO ME AND THERE IS TIMING IN BOTH DREAMS AS WELL AS YOU WILL SOON SEE. THE FIRST DREAM HAD TWO STRANGE TOPICS: THE TV SHOW 'LITTLE HOUSE ON THE PRAIRIE' WHICH A PREACHER HAD DREAMT ABOUT THE DAY BEFORE, WHICH I WILL SHARE AS WELL, AND MY DREAM ADDED A PINK SNAKE ACROSS MY TV SCREEN WHICH A DREAMER FRIEND OF MINE IDENTIFIED AS THE GRAPHIC RECENTLY SHOWN AS THE 'EBOLA' VIRUS - PLUS OTHER SYMBOLS SUCH AS A MAN WITH A FACE THAT LOOKED LIKE PINCERS, A UPS TRUCK, AND A DEEP CLIFF I MIGHT FALL OFF OF IF I WASN'T CAREFUL. SEE BELOW WHAT YOU THINK. In the dream, I was in a scene with some characters from the TV show “Little House on The Prairie”. I was watching as Charles Ingalls pulled a wagon up to a river and tried to cross. He determined that he would not be able to take the load across on his wagon because the water was too deep and the load too heavy. There was a young guy there who said he could float him across on his ferry. Charles agreed, but before he could load anything, the guy took off in the boat without him and yelled back, “I’ve got to get certified first; I’ll be back to get you”. So Charles decided to unload his wagon and wait. As he was unloading, he had a green metal box that he watched very closely. He noticed a lady in the yard of a house next to the river and asked her to watch his box while he unloaded the rest of his stuff. She agreed. After he finished, he went back to get his “special” box and it was gone. The lady was hanging out clothes on a clothesline and wasn’t paying close attention. He came up and asked her “where’s my box?” She told him a group of guys had come by and taken it. He then decided he was going after them and ran to get a few friends to help. This is where I entered the dream. I went with him and found Isaiah Edwards (another character in the show) and his daughter Laura Ingalls. While Charles and Isaiah got their guns, Laura and I walked around under the trees and saw a large clump of wild mushrooms growing around what appeared to be an old building that had rotted and fallen in. They were large, cone shaped pink mushrooms. I asked Laura what they were and she said they were healthy and good to eat. I then turned and decided to pursue the box thieves and not wait on Charles and Isaiah any more. As I was walking down the path, next to it was another row of the pink mushrooms that looked like they were in a flower garden. What happened next was weird (as if the rest of this dream wasn't – LOL). Isaiah had a mouth full of chewing tobacco that he started playing with between his teeth, holding his tongue out, rolling the tobacco around and sucking it in and out of his mouth. He was flicking his tongue out and acting like a lunatic. He then yelled and forcefully swallowed the wad of tobacco whole. His face changed and became a mottled green color (like some sort of lizard, etc) and his eyes were wild and he looked possessed. The guy sitting there, that had told him he was crazy, looked horrified and started screaming. That’s when the scene completely changed. I saw a school classroom that was outside. Desks and chairs in nice rows. It was modern day, because the houses around looked new and there was a white van sitting in a driveway next to the school. There was a young girl sitting at her desk with a large lottery-style scratch ticket that had 9 squares (like a tic-tac-toe board). As she scratched off the squares, there were pictures under each one. On the bottom square in the middle row, she scratched off a picture of herself (much older) with a red graduation cap and gown on. She scratched off the middle box and it was another picture of her, the same as the first; and again the same thing with the top middle box, completing a row of pictures of herself. She realized it was a winning ticket. The prize: Charles Ingalls’ green box!! That’s when I woke up. NOTE FROM DEE: AFTER READING THE ABOVE DREAM ABOUT ISAIAH, I SKIM READ THE ENTIRE BOOK OF ISAIAH, WHICH IS AMAZING IN SYMBOLISM AND PROPHECY - MANY THINGS I HAD NOT NOTICED BEFORE. The vision concerning Judah and Jerusalem that Isaiah son of Amoz saw during the reigns of Uzziah, Jotham, Ahaz and Hezekiah, kings of Judah. A. 8-9-14 -DREAM - I had two dreams about getting ready for a party which I promptly forgot. Then the third dream started where there was a party but I wasn't participating in it. I had laundry to do, and took a load of red clothing to the basement and put it into the washer, planning to let it run, and I would dry it in the morning when I did the second load of laundry. My son slept in another room. I fell asleep somewhere and when I woke up I realized I had forgotten to set the TV for the show Little House on the Prairie because they were going to show UFOs, which existed back in those days. I missed the show, but the TV screen had a white and pink stripe across it reminding me that I had forgotten to set the DVR to record it, and there was a picture of a long pink snake across the screen right in the center. NOTE: A reader found a picture of the Ebola virus that looked just like my pink snake. Yikes! I knew I had to write all this down because I didn't want to forget it, and started writing it on a pad of paper that was 8 1/2 x 11, and then remembered I had another load of laundry to do in the basement. I took the pad of paper with me because I didn't want to forget the sequence of what had happened. As I walked down the stairs, I found three metal objects on the carpeted stairs. The carpet was red and black plaid. One object which I almost stepped on had three prongs upward that would have gone right through my foot had I stepped on it. Another object I didn't recognize and the third object was a large black binder clip that would hold a large collection of sheets of paper together. I picked up the objects and carried them downstairs with me. I was very anxious to get that second load of laundry started, but I had to finish writing what happened first. I then remembered that someone else at the party was going to watch Little House on The Prairie and wondered if they had recorded it so I could see it too. I started feeling quite anxious to have missed the show because it was a very important one. And I worried that my husband, asleep upstairs in bed was going to be angry that I hadn't done the laundry, or recorded the show... and I woke up worried about all these issues that I hadn't done during the night. 8-10-14 - DREAM I was writing descriptive words about something on a board and it looked like I was throwing slabs of whitefish at the board and making them stick on the board. 8-10-14 - DREAM - I don't know where I was, but it seemed to be a community situation. A young man, who I remember from grade school, (I think his name was Bill - [William] ) asked me if we had any oatmeal. I told him that I didn't think so, but I would look anyway - just to be sure. So, I went to the community kitchen and asked the girl in charge if we had any oatmeal. She said if we did, there was just enough for one meal. So, she started looking in the cabinets where he breakfast foods were and she found some oatmeal - just enough for one meal - but it was in a container that she couldn't give me, so after a couple of tries, she found a brown leather satchel, one might keep pencils in with a zipper on the top and she poured the oatmeal in that and zippered it shut and handed it to me. I had to go to another building to find Bill and give him the oatmeal, and on my way through the kitchen, I noticed movement at the window and looked up and saw the ugliest man standing there washing the windows that I had ever seen in my life and the sight of him scared me. The man was about 8 feet tall or more, and his nose was almost 6 inches long and so was his chin and the almost met in the middle. They looked like pincers on the front of his face. He was washing the top window. I shuddered at the site of the man and hurried out the door with the satchel of oatmeal to give it to Bill. I had to cross the parking lot, and out there I saw a UPS truck - one of those really large ones, and it was parked almost cross ways in the driveway with its rear end almost hanging off a really steep cliff that went way down. I couldn't see the bottom so I don't know how deep the crevice was behind the truck. Even worse, I had to walk behind the truck to get past it in order to get over to the next building. The UPS driver, dressed in his summer brown shorts and short sleeved shirt, saw my fear to walk past the truck, and he told me I'd be okay, so I walked careful so I wouldn't fall off the cliff and I didn't. I found Bill in the other building and gave him the satchel of oatmeal, and then I had to go into the record keeping section of the kitchen where we kept track of the food we had in the house, and had to erase the record of 'oatmeal' from the board. The board for some reason was written in red and black pegs, and for some reason, I had to erase the numbers 3, 2, and 1 and take 'oatmeal' off the board. I had great difficulty doing this because it took so many red and black pegs to cover the word oatmeal in order to take them off the board, but I managed to do it. Now, there really was no more oatmeal. To dream of losing oars may symbolize situations where you feel totally cut off ... To dream of oatmeal represents situations that make you feel down to earth or ..
. Red-and-black flag. The red-and-black flag was the flag used by anarchists during the Spanish Civil War. Since Brent Berlin and Paul Kay's classic study on Basic Color Terms, the universal chromatic trio of white, red, and black became a matter of scholarly interest. It wasn't difficult to notice that the Obama family were dressed in matching colors when they came out for Obama's acceptance speech. I especially noticed the way Michelle Obama's dress had a black shawl bisecting the red to form a right angle. NOTE FROM DEE: I ALSO NOTICED THE ODD LOOKING RED AND BLACK OUTFIT THAT MICHELLE OBAMA WORE THAT DAY - AND THOUGHT TOO THAT IT MEANT SOMETHING, BUT AT THE TIME I WAS BUSY WITH OTHER THINGS THAT SEEMED MORE IMPORTANT. SO HERE IT IS AGAIN. I googled black and red symbolism, thinking maybe Obama is sending a message here. We have already established that Obama does send unspoken signals, he flashed a hand signal that some believe is for a football team, some believe is American hand sign meaning I love you, and some believe show his allegiance to another entity not in keeping with US sovereignty and the constitution. I was very surprised by the answers. Not endorsing wikipedia. extended to five-pointed stars representing the same schools. One of the most famous variations of the anarcho-syndicalist flag is that of Spain's Confederación Nacional del Trabajo (National Confederation of Labor, CNT), which still exists today. The CNT, along with the Federación Anarquista Ibérica (Iberian Anarchist Federation, FAI), a major militant faction within the CNT, was a major player in the popular anarchist movements in Spain of the late 19th and early 20th centuries. This group has its own version of the red-and-black flag with its initials on the flag. CNT is in the red, while FAI is in the black – the color of anarchy – as the FAI was founded in 1927 to keep the CNT dedicated to anarchist principles. Another variation on the red-and-black theme is the red-and-black Africa used mostly by the Zabalaza Anarchist Communist Federation (ZACF or ZabFed), a federation of anarchist groups in South Africa. ZabFed was inspired by the Organisational Platform of the Libertarian Communists. ZabFed members share a basic agreement in terms of theoretical and tactical unity, collective responsibility, and federalism as suggests by the Platform. 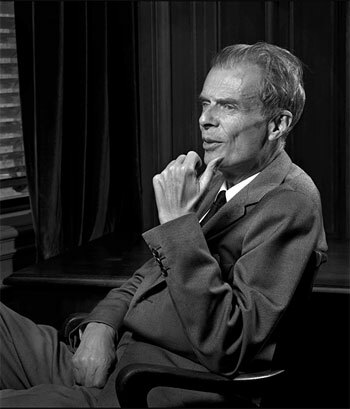 In historical terms the Platformist tradition starts with The Organizational Platform of the Libertarian Communists, and in the post-war period many include documents like the Georges Fontenis' pamphlet Manifesto of Libertarian Communism. The symbolism of a united Africa, displayed in traditional anarchist communist colours, is an important one, as a mixture of different demographic groups are represented by Zalabaza in the midst of a societal environment that is otherwise tense with post-colonial racial and sexual issues. NOTE FROM DEE: I HAVE HAD OVER 1,000 DREAMS WITH THE COLORS RED AND BLACK IN THEM, WHICH SHOWS HOW PREVALENT THIS COLOR IS IN DREAMS, PLUS THE IMPORTANCE OF THEM. SO THIS PARTICULAR DREAM TELLS ME THAT THE RED AND BLACK IS MASONIC. IS PRESIDENT OBAMA ALSO MASONIC? THAT IS USUALLY A CAREFULLY GUARDED SECRET, AND WE WON'T PRY INTO THAT PERSONALLY. MAURICE STRONG - RIGHT HAND MAN OF ROTHSCHILD. maurice-strong.jpg. Gore's partner in crime Maurice Strong. CARBON TRADING CONSPIRACY. Illuminati Conspiracy, Order of the Illumined Wise Men The term Illuminati, is the plural of the Latin, Illuminatus, meaning "one who is illuminated. NOTE FROM DEE: IT COMES TO MIND SUDDENLY THAT THE GEORGIA GUIDESTONES IS THE CLEAREST MESSAGE WE HAVE EVER BEEN GIVEN THAT 'SOME PEOPLE' WANT OUR POPULATION DEPLETED GREATLY, SO LET'S GO WITH THAT AS WELL. ... 1995, CIA, NSA, ONR:. Electromagnetic resonant induction and mass populationcontrol Location: Gakona, Alaska Frequencies: Atmospheric phase- locked . The origin of that strange monument is shrouded in mystery because no one knows the true identity of the man, or men, who commissioned its construction. All that is known for certain is that in June 1979, a well-dressed, articulate stranger visited the office of the Elberton Granite Finishing Company and announced that he wanted to build an edifice to transmit a message to mankind. He identified himself as R.C. Christian, but it soon became apparent that was not his real name. 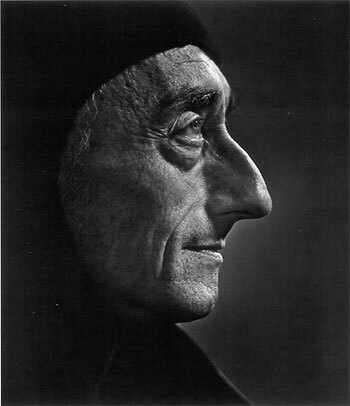 He said that he represented a group of men who wanted to offer direction to humanity, but to date, almost two decades later, no one knows who R.C. Christian really was, or the names of those he represented. Several things are apparent. 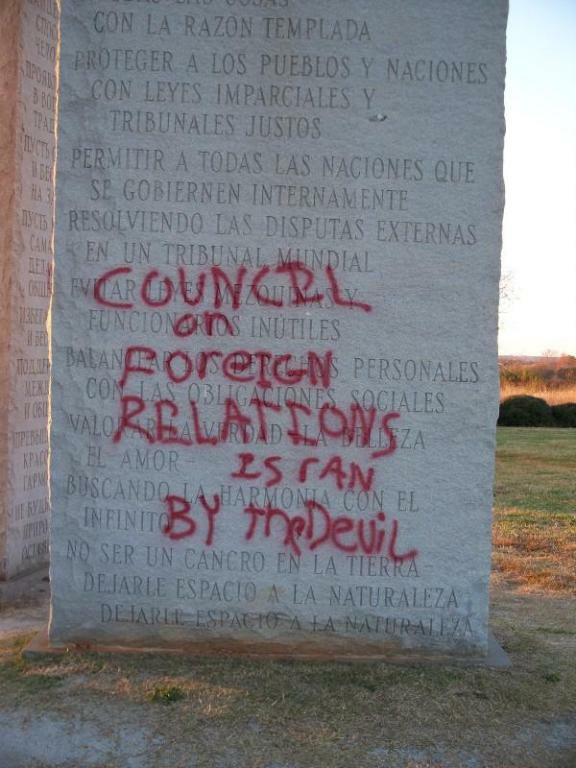 The messages engraved on the Georgia Guidestones deal with four major fields: (1) Governance and the establishment of a world government, (2) Population and reproduction control, (3) The environment and man's relationship to nature, and (4) Spirituality. The hole that you see in the stone was drilled in the Center Stone so that the North Star could be visualized through it at any moment. This was one of several requirements stipulated by R.C. Christian for the building of the American Stonehenge and reflects his obsession with the alignment of the stars, the sun, and the moon. Occultists often worship the alignment and movement of heavenly bodies as part of their religious ceremonies. A few feet to the west of the artifact, an additional granite ledger has been set level with the ground. This tablet identifies the structure and the languages used on it, lists various facts about the size, weight, and astronomical features of the stones, the date it was installed, and the sponsors of the project. It also speaks of a time capsuleburied under the tablet, but the positions on the stone reserved for filling in the dates on which the capsule was buried and is to be opened are missing, so it is not clear whether the time capsule was ever put in place. Each side of the tablet is perpendicular to one of the cardinal directions, and is inscribed so that the northern edge is the "top" of the inscription. The Georgia Guidestones are located on a hilltop in Elbert County, Georgia, approximately 90 miles (140 km) east of Atlanta, 45 miles (72 km) fromAthens, and 9 miles (14 km) north of the center of Elberton. The stones are standing on a rise a short distance to the east of Georgia Highway 77 (Hartwell Highway), and are visible from that road. Small signs beside the highway indicate the turnoff for the Guidestones, which is identified by a street sign as "Guidestones Rd." It is located on the highest point in Elbert County. Elbert County owns the Georgia Guidestones site. Robert C. Christian deeded the five acres to the county immediately upon purchase from Wayne Mullenix. According to the Georgia Mountain Travel Association's detailed history: "The Georgia Guidestones are located on the farm of Mildred and Wayne Mullenix..." The Elbert County land registration system shows what appears to be the Guidestones as County land purchased on October 1, 1979. The monument was unveiled in March 1980, with the presence of 100 people.] Another account specifies the 22nd of March and said 400 people attended. Yoko Ono and others have praised the inscribed messages as "a stirring call to rational thinking", while opponents have labeled them as the "Ten Commandments of the Antichrist". 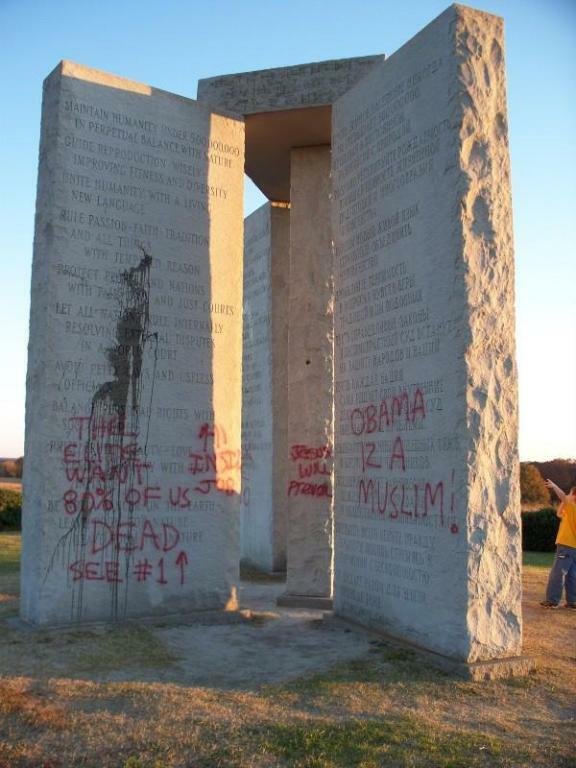 The Guidestones have become a subject of interest for conspiracy theorists. 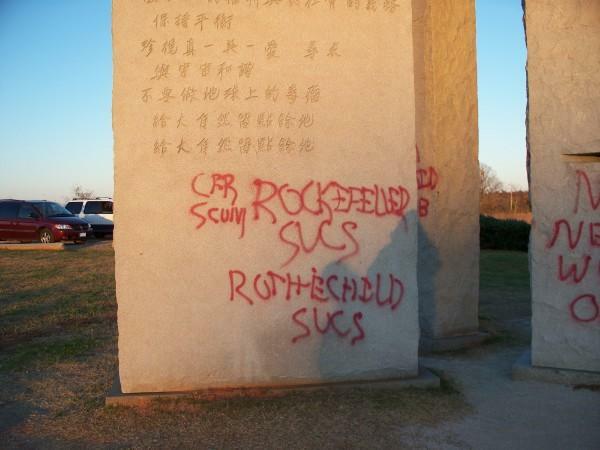 One of them, an activist named Mark Dice, demanded that the Guidestones "be smashed into a million pieces, and then the rubble used for a construction project", claiming that the Guidestones are of "a deep Satanic origin," and that R. C. Christian, belongs to "a Luciferian secret society" related to the New World Order. At the unveiling of the monument, a local minister proclaimed that he believed the monument was "for sun worshipers, for cult worship and for devil worship". Another popular conspiracy theorist, Alex Jones, in his 2008 documentary 'Endgame: Elite's Blueprint For Global Enslavement' highlights "the message of the mysterious Georgia Guidestones, purportedly built by representatives of a secret society called the Rosicrucian Order, which call for a global religion, world courts, and for population levels to be maintained at around 500 million, over a 5.5 billion reduction from current levels. The stones infer that humans are a cancer upon the earth and should be culled in order to maintain balance with nature." Researcher Van Smith claims to have uncovered numerological messages encoded within the proportions of the various Georgia Guidestones components that link the monument to the Burj Khalifa, the tallest building in the world which opened in Dubai over thirty years after the Georgia Guidestones were designed. Smith presents evidence demonstrating that the opening date of the tower, the death of Dubai's emir, Sheik Maktoum bin Rashid al Maktoum, and the exact height of the Burj Khalifa can all be deduced directly from the proportions of the granite slabs. 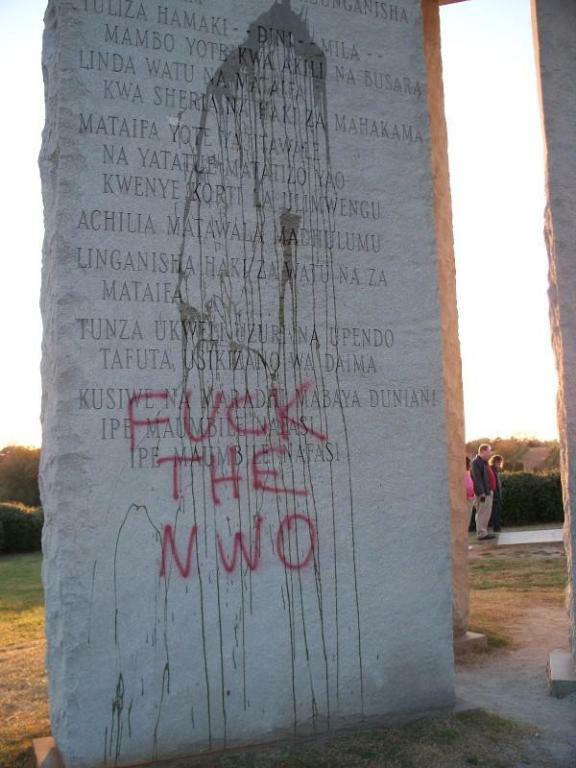 In 2008, the stones were defaced with polyurethane paint and graffiti with slogans such as "Death to the new world order." 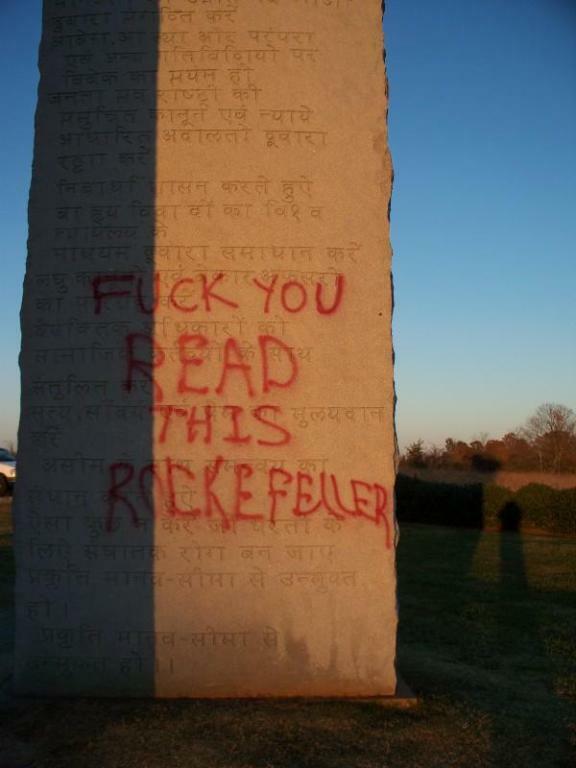 Wired magazine called the defacement "the first serious act of vandalism in the Guidestones' history". More recently, in an apparent attempt to topple the monument, a large notch was cut from the top of the English language Guidestone near the 8" long, 1 5/8" thick stainless steel dowel pin used to secure that slab to the capstone. As of November 14, 2009, the stones bear a variety of graffiti. Elbert County is funding ongoing repair and has installed two video surveillance cameras at the site. 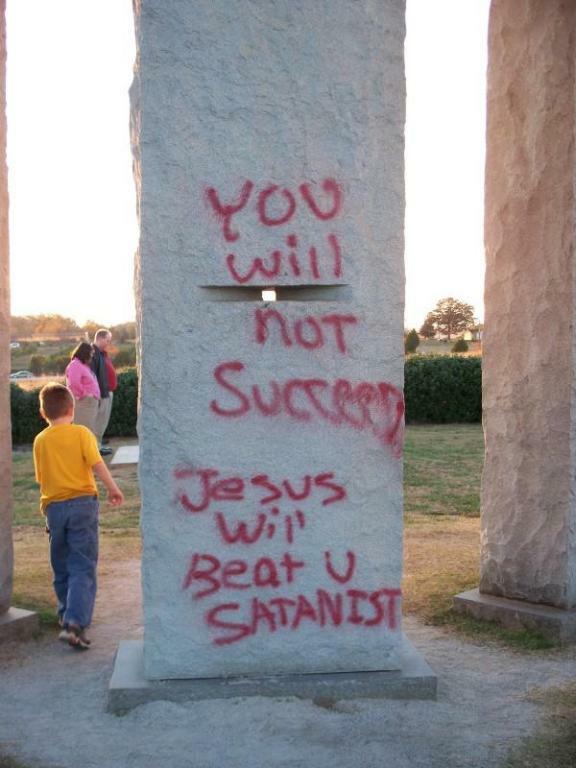 "The satanic Georgia Guidestones must be destroyed," insists John Conner of The Resistance. "The Guidestones should be smashed into a million pieces, and then the rubble used for a construction purpose." Occult Activities of the Global Elite at Bohemian Grove Exposed! The notion of hacking the monument into smithereens for construction scrap has a certain appeal, given the hype of how it came to dominate the lonely landscape in the first place. The Georgia Guidestones were ordered, constructed and paid for in total anonymity. The monument, which has stood since 1980, consists of four large stones with 10 commandments engraved into the sides in eight different languages. Some folk call them the 10 commandments, others a set of New Age Golden Rules. The first commandment or rule calls on everyone to "Maintain humanity under 500,000 in perpetual balance with nature." A little difficult to achieve when considering that the current world population tops 6 billion. Other commandments or rules speak of a world court and a new universal language. The origination of the Georgia Guidestones is steeped in bizarre mysticism. They were said to be paid for by an anonymous man with the unlikely name of R.C. Christian back in 1979. Indeed, the name of the donor has remained a secret ever since. As folk legend would have it, a certain Mr. Christian came to town out of nowhere and just as quickly returned to nowhere. 3. Unite humanity with a living new language . Elberton, Georgia is self-touted as the granite capitol of the world, leading many to believe the creation of the monument was a publicity stunt for the town. Then there is the camp that dismisses the stones as the creation of an eccentric environmentalist. 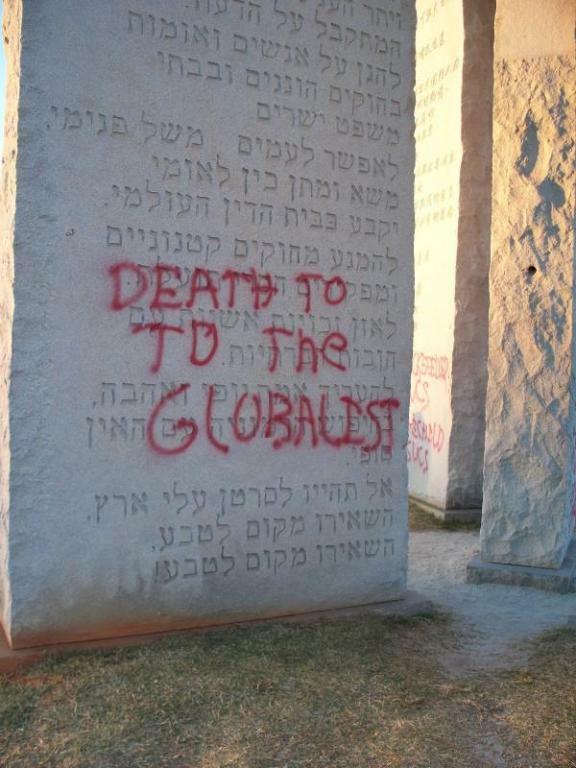 Many Christians have seen the Georgia Guidestones as the New World Order’s 10 Commandments, of the type already written up by United Nations Poster Boy Maurice Strong and former Soviet Union President Mikhail Gorbachev, the duo who authored the Earth Charter. Others see the stones as an out-of-the-way monument of the occult. Whatever the reasons for their existence, Conner and Company have organized a national movement for the destruction of the stones. Conner is the author of The Resistance Manifesto , a publication that exposes Satanic influences in America, including the meaning behind the pseudonym "R.C. Christian", the name of the man who paid to have the monument erected. The Resistance is a worldwide subculture of Christians "fighting the invasion of privacy from the growing New World Order." In addition to organizing national movements for the destruction of the Georgia Guidestones, members of The Resistance organize to hit the airwaves. They often flood the airwaves of call-in radio and television shows on topics of interests where they can throw the direction of the show and its host in their favour. "Power to The Resistance" is both their motivation and their catchphrase. According to Conner, the flood of calls has been made to numerous national programs, including Larry King, Bill O’Reilly, Shawn Hannity. Allan Colmes and Michael Savage. "People need to remember that the airwaves belong to the public, and that these orporations have the privilege of using them," says Conner. "We simply exercise our rights to free speech over the airwaves, which we own." If you’ve never had a gander at the Guidestones, you can see them by logging on to www.TheResistanceManifesto.com . But you better log on soon, as group members insist they’re coming down. Meanwhile, stray dogs, cats and coyotes in Elberton, Georgia, will be looking for a new place to leave their collective calling cards. Study, of course, was an apprenticeship for action. 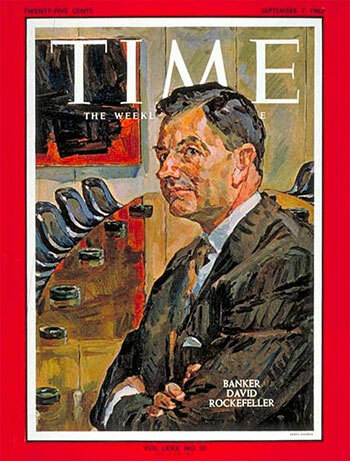 By 1957, an “Ad Hoc Committee” of population strategists from the Council the Rockefeller Fund,Laurance Rockefeller‘s Conservation Foundation and Planned Parenthood mapped out a full population control program. Published by Population Council President Frederick Osborn as Population: An International Dilemma, the committee’s report insisted that population growth, in the rich nations as well as the poor, would become a decisive threat to political stability. To preempt such instability, the population planners planned first to win over the educated classes, many of whom themselves felt the threat of population. But, wary of widespread personal sensitivities and nationalist sentiments, they would never push birth control as an end in itself. Instead they would have it grow out of the logical needs of family planning, and leave the task of gaining public acceptance to the native elite, many of whom they had trained. 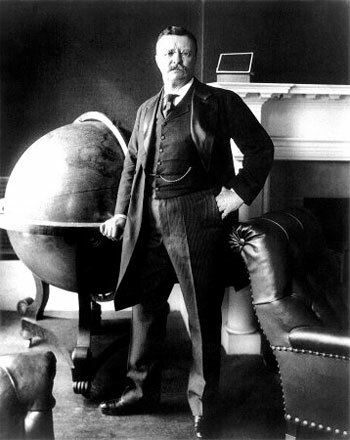 Much impressed by this show of “public support,” the very next session of Congress passed Johnson’s “New Look” in foreign policy, which made birth control part of foreign assistance and permitted the President to judge a nation’s “self-help” in population planning as a criterion for giving Food for Freedom aid. (Separate legislation gave the Department of Health, Education and Welfare a birth control program for domestic consumption.) The “New Look,” which combined population control with agricultural development, international education, encouragement of private overseas investment, and multilateral institution-building, was, of course, the response of the mid-’50′s to nationalism. It was also a foretaste of what Paul Ehrlich’s “tough foreign policy positions” would easily become. 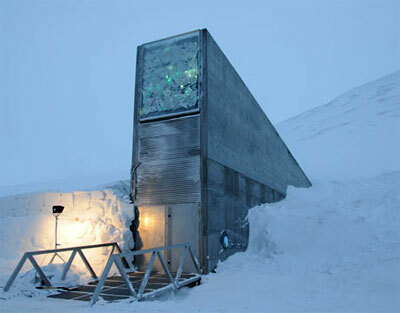 Bill Gates has teamed with the Rockefellers, Monsanto and the government of Norway in the Doomsday Seed Vault, in which organic seed is stored for some vague anticipated world catastrophe. Food control goes hand in hand with population control. 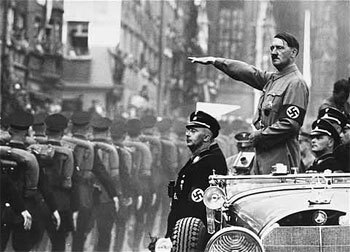 The eugenics (improvement of humans through selective breeding, often using brutal methods like genocide and forced sterilization) program of the Third Reich in Nazi Germany was revealed after WWII. Obviously, people did not have a high opinion of eugenics, so, according to William Engdahl, author of “Seeds of Destruction”, the Rockefeller strategists shifted their profile to champion the causes of the environment, resource scarcity and overpopulation. (5) The policy of population control remained, despite the illusion of caring concern- which is simply marketing; the word eugenics has been renamed as “human genetics”. This scheme for improving their image worked for them before, using “philanthropy” and tax-free foundations, when the Rockefellers became very unpopular following the Ludlow Massacre. Bill Gates wants to have a new “Gene Revolution” in Africa. Bill Gates has teamed with the Rockefellers, Monsanto and the government of Norway in the Doomsday Seed Vault, in which organic seed is stored for some vague anticipated world catastrophe. The Rockefeller Brothers Fund created the ISAAA (International Service for the Acquisition of Agri-biotech Applications) and the Rockefeller Foundation is a major donor. The ISAAA is involved in promoting proprietary GMO seeds to developing countries. 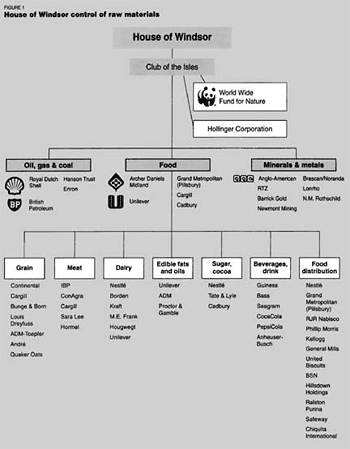 Its sponsors include Monsanto (USA), Dow AgroSciences (USA), Cargill (USA), Bayer CropScience (Germany), and a mysterious “Anonymous Donor “(USA), and US-AID of the State Department, per William Engdahl. It is worth mentioning that Robert Deitch’s book, “Hemp: American History Revisited” explains that the Great Depression was not caused by the Wall Street stock market crash of ‘29, but by Prohibition (the 18th Amendment that prohibited alcohol from 1920 until it was repealed in 1933). 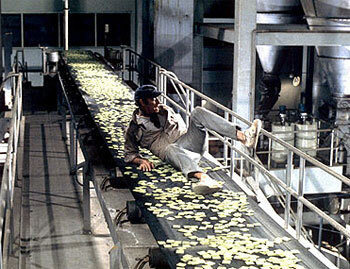 Other businesses, besides the production of alcoholic beverages, that used alcohol were ruined. Deitch claims that the big oil interests, like Rockefeller (Standard Oil) and Mellon (Gulf Oil) demonized alcohol, not on propagandized moral grounds, but to eliminate competition. The automobile industry was in its infancy and they wanted to corner the market on energy, so they devised a plan to knock out the competition of alcohol powered vehicles. Later, in 1937, after relentless lobbying, they did the same thing with hemp, and through deception and demonization of marijuana, hemp was outlawed. Hemp contains only miniscule trace amounts of THC (the active agent in marijuana), yet it is considered a ‘controlled substance’. Hemp is a low maintenance plant that needs no pesticides or herbicides, and can produce oil, paper products, biodegradable plastics, medicine and textiles (it is also a super nutritious food). Because the Robber Barons (Rockefeller and Mellon- oil, DuPont- chemicals and Hearst- paper) were threatened, they joined together to outlaw hemp. Hemp was later needed during WWII, so its cultivation was allowed in the US. 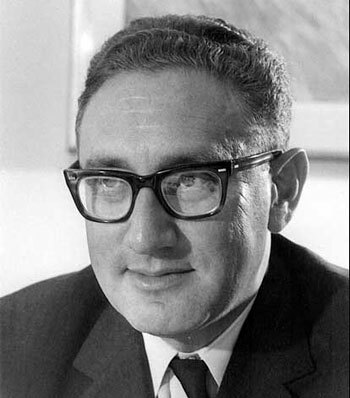 Hemp was a threat to the Rockefellers not only because it produces oil, but also because Cannibis has uses as a medicine, thereby threatening their pharmaceutical drug monopoly. Nelson Rockefeller, as governor of New York, in 1973, established marijuana as a Schedule I narcotic drug, through the “Rockefeller Drug Laws” which had harsh penalties for the possession and sale of drugs (including marijuana) that could result in a sentence of 15 years to life. As other States followed suit, this became the cornerstone of America’s abysmal ‘War on Drugs’. California was the first State to defy the federal government in de-criminalizing marijuana for medical use, through the 10th Amendment (States’ rights). Fourteen other States have followed suit. California will be vote on marijuana legalization in November; this may pass because the government wants to tax it. Ironically, in 2006, a bill to allow hemp farming passed both houses of the California legislature, but collectivist Arnold Schwarzenegger, in another act of cowardice, vetoed the bill because he said that marijuana and hemp are indistinguishable under federal law. Hemp could go a long way toward saving California’s bankrupt economy. Fifteen other States have introduced or enacted legislation to grow hemp, but they fear the federal Drug Enforcement Agency. Thanks to F. William Engdahl, author of “Seeds of Destruction” for all of his fine research and articles. Does "change" mean depopulation and culling of the useless eaters? The Ehrlich name is among the most famous contributors to drug industrialization, vaccination, and genocidal depopulation. Do the research! Obama's science czar, John Holdren co-authored <http://zombietime.com/john_holdren/>Ecoscience with Paul R. and Anne Ehrlich. These two are likely kin to S. Paul Ehrlich, Jr., "Surgeon Genocide" of the U.S. who defended the CIA and obfuscated the DoD's open air testing of biological weapons on unwitting Americans during official congressional hearings on the matter in 1976. These Paul Ehrlichs are likely kin to Nobel Prize Winner, Paul Ehrlich, who coined the term "chemotherapy," and popularized medicine's "magic bullet" doctrine for disease treatment. The first Ehrlich also pioneered the field of "autoimmunity," fundamental to vaccine toxicity. As living proof of the popular application of autoimmune vaccine intoxication, study the field of autoimmune diseases. The vast majority of today's most mysterious pandemics, including all the new chronic diseases such as chronic fatigue, MS, Type 1 diabetes, Guillain Barre, rheumatoid arthritis, and many, many more, are vaccination intoxication induced. Also, the world's worst immune system nightmare is reputed to be Ebola. The Paul Ehrlich Institute in Frankfort, Germany, was "Ground Zero" for the emergence of the "Marburg virus," that is the mother of Ebola. This rabies-type rodent virus injected into simian lab monkeys caused the mutation-creation of the Marburg/Ebola strains we fear today. Marburg first broke out in 1967 by way of monkeys shipped from Africa to this world leading vaccine production facility, The Paul Ehrlich Institute. (The shippers, Litton Bionetics, as documented in <http://www.healthyworldstore.com/index.php?act=viewProd&productId=25>Emerging Viruses: AIDS & Ebola--Nature, Accident or Intentional?, were the Army's sixth leading biological weapons contractor in 1969.) This "reality check" on the vaccine industry's origination of Marburg/Ebola was issued by the world's leading expert on laboratory "emerging viruses," Seymour Kalter. during a scientific symposium in 1975. On behalf of "globalization/colonialization," Holdren and Ehrlich wrote that a planetary regime should control the global economy and dictate by force the number of children allowed to be born, and that, "The first step necessarily involves partial surrender of sovereignty to an international organization. . . ."
The authors continued, "If this could be accomplished, security might be provided by an armed international organization, a global analogue of a police force." Now you can see how this bioterrorist depopulation agenda evolved, who is really behind it, and why avoiding vaccinations, at all costs, is the wisest choice. Aug 14, 2009 ... I decided to choose three herbs used for the treatment of H1N1 flu virus which is currently going around in the schools and businesses. Each year millions of North Americans alone contract the flu. Compre that with those 64 SARS cases diagnosed thus far and, well, you can't compare them. 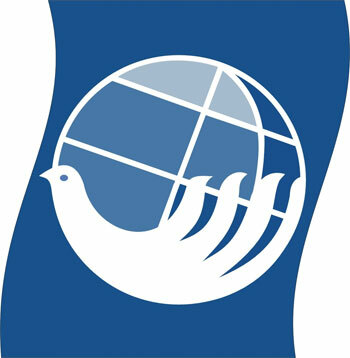 The IUCN involves the EPA, US Fish & Wildlife Service, the National Park Service, the United States Forest Service, Sierra Club, the Nature Conservancy, the National Wildlife Fund, the National Audubon Society, National Resources Defense Council, UNESCO, the Environmental Defense Fund, the U.N. Environmental Program, etc. . According to the UN video, “Armed to the Teeth”; and also in the Freedom From War Policy -put into effect by JFK in 1961-general and complete disarmament and US military power was given over, in full, to the UN. This is a loss of the sovereignty of America. (Read this document athttp://www.scribd.com/doc/5009662/Freedom From-War). CA guidelines set for vitamins & minerals are said to be voluntary, however, they are scheduled to become mandatory on December 31, 2009. In 1994, Codex Alimentarius declared nutrients to bepoisons: See the Dietary Supplement Health Education Act (DSHEA). Yet fluoride is acceptable! Why? It creates complacency. Proper nutrients will ensure a longer, healthier life. Not at all in keeping with a depopulation agenda. “In 1962 it was decreed that there would be a move toward total global implementation of Codex Alimentarius. The date set for implementation is December 31, 2009. WHO and FAO are the commissions in charge of CA. They fund it and run it at the request of the U.N. In conjunction with Codex Alimentarius, food will be limited and water consumption will be decreased to 10 gallons per day, per person. The average American uses 140 gallons of water every day. The food provided will be Genetically Modified and nutrient deficient. As of the Codex Alimentarius (CA) implementation date of 12/31/09, if there were a famine anywhere in the world, it will be illegal to send any high nutrient density biscuits. Or to distribute them!! Once a country becomes CA compliant, CA can never be repealed. Membership with the WTO robs the member nations of any and all sovereignty. Germany is now CA compliant. Agenda 21 was birthed out of the Rio Summit 1992. Agenda 21 (A 21), a.k.a. Smart Growth, Regionalism, Visioning Processes, Action Plans, Shared Values; 20/20, Best Practices; Community Festivals & Public/Private Partnerships. These are the names you will hear A 21 called, the buzzwords. Every county must set up a council to oversee the implementation of A 21. A 21 is Sustainable Development. Steven Rockefeller set up the Earth Charter, referenced above. The Earth Charter is the new One World Religion: Earth worship. The earth is considered to be ‘sacred’, and its protection is a ‘sacred trust’. Global responsibility will demand basic changes in values, behaviors and attitudes of government, the private sector, and civil society. Under Sustainable Development man is considered to be responsible for the pollution of the planet and is subordinate to all other living creatures. This is a direct contradiction to the Bible where God placed man in a position of dominance over the entire earth. The elite will worship and serve the creature, rather than the Creator. Among the things considered to be unsustainable, as listed above, these are included: Monotheism and the family unit. The health care plan of President Obama is under A 21. Under this health care plan, the family unit is very much being attacked. Anyone over age 65 must undergo ‘end of life counseling’ by their doctor every 5 years. Abortion will be pushed that much harder, especially with the Science Czar wanting sterilants put into our water supply! One of the new appointee’s to the Obama Administration once said in a book he co-wrote that a child could be killed up to the age of 2 years old! What kind of a monster could think that is acceptable? Nearly the exact language used to define Sustainable Development was taken from the 1977 Soviet Constitution! 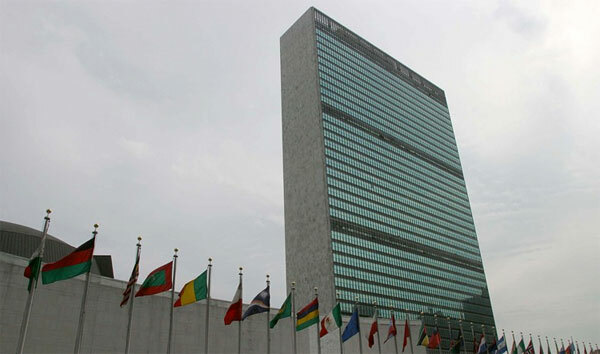 The Family Dependency Ratio, under the United Nations, will look at every household. They will gauge what that household has produced in accordance with what it has used (i.e., resources) by the water bills, energy bills, etc. Are you using more than you are producing? Are you adding to the collective, or merely taking away? This is how the powers that be will determine whether you are a productive citizen, or, in the words of Henry Kissinger, “A useless eater”.